Here's a promo to the My Babysitter's a Vampire season 2 marathon airing Saturday, July 28th at 8PM ET on Disney Channel. Episodes will be: "Welcome Back Dusker", "Say You'll Be Maztak", "Fanged and Furious", and "Flushed"
My recap and review of My Babysitter's a Vampire "Welcome Back Dusker" can be found at this link. My recap and review of My Babysitter's a Vampire "Say You'll Be Maztak" can be found at this link. 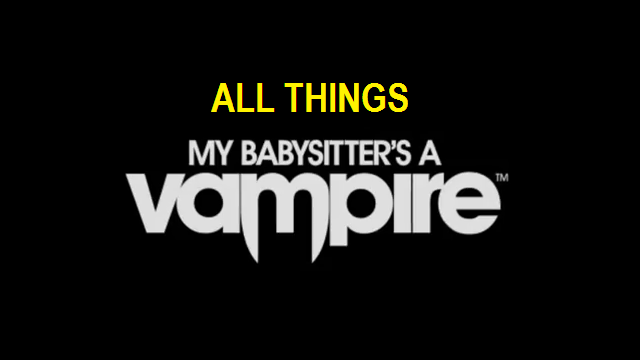 My recap and review of My Babysitter's a Vampire "Fanged & Furious" can be found at this link. My recap and review of My Babysitter's a Vampire "Flushed" can be found at this link.